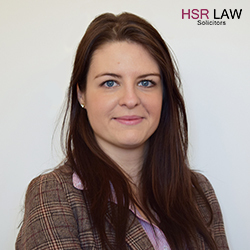 Our Residential Property Solicitor Rachel Cooke explains the types of property surveys available to you along with an idea of costs and the types of properties and purchases that they may be suitable for. You need to choose which survey is best for you, based on the condition and age of the property. Spending money on property surveys now could save you time and money in the future so it is important that you get this right. That is why we want to provide you with a little extra guidance as this can be a minefield! A Condition Report is a very basic ‘traffic light’ survey and the cheapest usually. A HomeBuyer Report is a survey suitable for conventional properties in reasonable condition. Costs start at £400 on average. This is the most common report. This will help you find out if there are any structural problems, such as subsidence or damp, as well as any other unwelcome hidden issues inside and outside. The HomeBuyer Report doesn’t look beyond the floorboards or behind the walls. The RICS Building Survey provides the same level of in-depth inspection as a building survey, but uses a simple a clear presentation style. This is mainly aimed at larger or older properties, or if you’re planning major works. It’s very extensive and in some circumstances worth the extra money but it does not usually include a valuation. Although this survey can’t look under floorboards or behind walls it should include the surveyor’s opinion on the potential for hidden defects in this area. The surveyor should also provide information on potential repair options. The sole aim of the mortgage valuation is to satisfy the lender that your desired property is worth the price you’re paying – or at least the amount it’s lending, before they approve your mortgage. Sometimes lenders offer mortgages with free valuation surveys however, you often then do not even receive a copy of this!